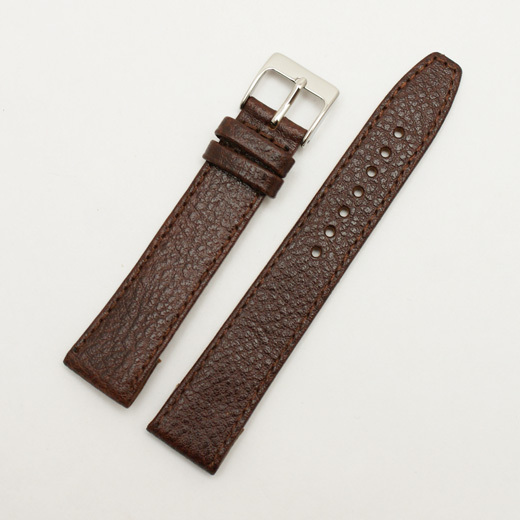 This dark brown watch strap is made from soft, smooth denver calf leather with a flat design, grained finish, the same colour decorative stitching, 'anti-allergic' nubuck lining and a nickel free buckle. 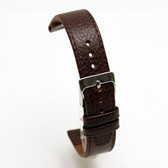 These straps are designed for watches with fixed spring bars (or pins). 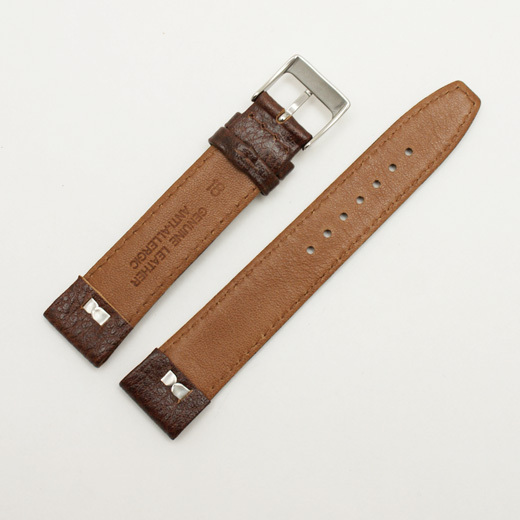 The strap is threaded around the bar and secured in place with the metal fastener that is built in to the strap, as shown in the pictures. The 6mm version of this strap is unstitched, all of the other versions as stitched as shown in the photographs. Also the 6mm - 14mm versions have the metal fastener arranged vertically whereas the 16mm - 20mm version have it horizontally as shown in the photographs. This strap will fit any watch where the distance between the lugs is 6mm, 8mm, 10mm, 12mm, 14mm, 16mm, 18mm or 20mm (depending on the strap you buy). Like all of our products, it is brand new and in stock in the UK, ready for our super fast shipping.